Wet Ink Ensemble celebrates 20 years of adventurous music making in NYC and around the world with a concert celebrating the work of the ensemble’s four acclaimed composer members—Alex Mincek, Sam Pluta, Kate Soper, and Eric Wubbels. The concert will feature a retrospective look at “classics” of Wet Ink‘s repertoire, including Alex Mincek’s From Nowhere to Nowhere and Kate Soper’s Door, and new sounds including Sam Pluta’s binary/momentary iii for solo cello featuring Mariel Roberts and the world premiere of a new work for Wet Ink‘s core septet of composer-performers by Eric Wubbels. 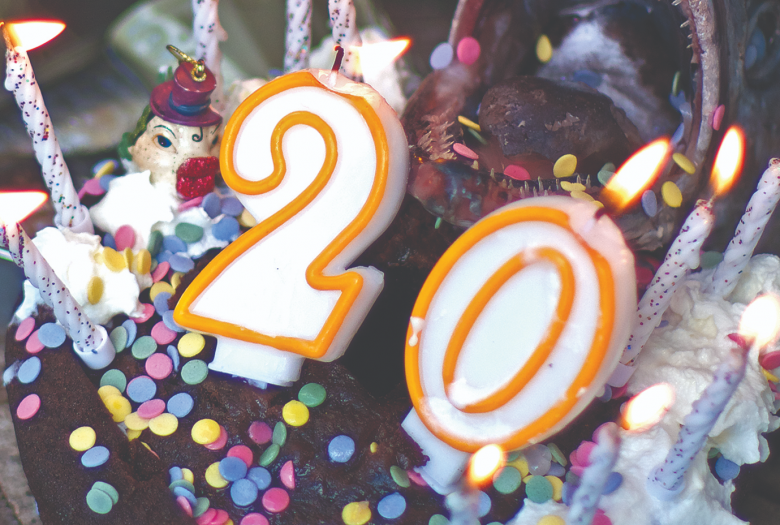 Read our feature by Kurt Gottschalk on Wet Ink’s 20th Anniversary in our Spring zine or online here. Wet Ink Ensemble is proud to celebrate 20 years of adventurous music-making in NYC and around the world with the 2018-19 concert season. The 20th Anniversary Season highlights the ethos of innovation through collaboration that has guided the work of Wet Ink throughout the ensemble’s history, celebrating the music and the unique performance practice developed in the “band” atmosphere of Wet Ink’s core septet of composer-performers, and presenting exciting new projects with emerging and underrepresented artists and longtime collaborators. Since the group’s first concerts in 1998, Wet Ink has moved fluently along a continuum of composition, improvisation, and interpretation, from early collaborations with Christian Wolff, George Lewis, and ZS to pioneering portrait concerts of Peter Ablinger, Mathias Spahlinger, Anthony Braxton, and the AACM composers, and deep, long-term collaborative work by members of Wet Ink. Wet Ink is co-directed by a core septet of world class composers, improvisers, and interpreters that collaborate in band-like fashion, writing, improvising, preparing, and touring pieces together over long stretches of time. These directors are Erin Lesser (flutes), Alex Mincek (saxophone), Ian Antonio (percussion), Eric Wubbels (piano), Josh Modney (violin), Kate Soper (voice), and Sam Pluta (electronics). The Wet Ink Large Ensemble is a group of extraordinary New York City musicians that come together to play the world’s most exciting and innovative music.